Another fabric we could not resist from sharing with our customers. 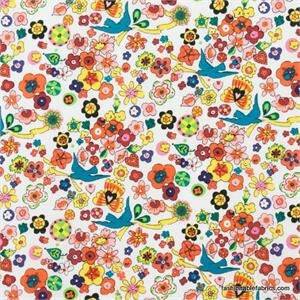 Folklorico Lupe from Alexander Henry joins our other wonderful fabric from this collection. 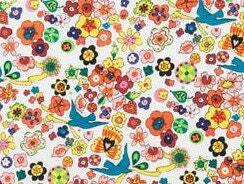 Set on a natural background 1 inch blue birds carry ribbons of yellow amongst the brightly colored flowers in hues of pink, orange, blue, yellow and green. Add this to your next quilt to make it pop! A great addition to any home decorating project or general sewing projects.